Classrooms are more than just desks and chalkboards. They are collaborative learning environments that need many different materials and logistics to come together in the name of educating young people to adopt real-world skills. 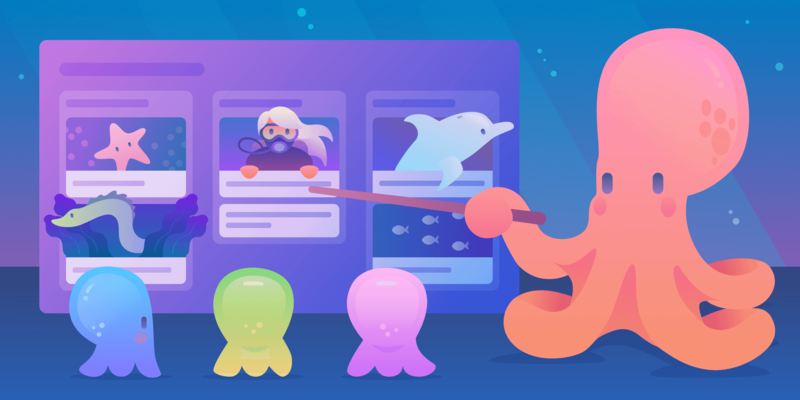 Many teachers of different age-levels and classroom styles are finding creative ways to leverage Trello for their collaborative classrooms and lesson plans. Innovative educator and author Paul Solarz uses Trello with his 5th grade class to collaborate on their long term passion projects. At three month intervals, each student is tasked with thinking up an open-ended question that explores a topic of their interest. From there, students use a Trello board to periodically work on each step of their research project, culminating in a website the students create with all of their findings! Read more about Paul Solarz’s classroom. High school pre-calculus teacher Rik Rowe uses Trello as a virtual bulletin board for his classroom. He realized his students were already dialed into their devices, so he decided to bring the classroom to them. He uses a Trello board to attach his class syllabi and lesson plans. He separates the lessons into individual cards on lists titled “Upcoming,” “Now Learning,” and “Upcoming Assessments.” This helps students understand which material will be on tests, and as well gives them an opportunity to directly contact Rik with questions on the relevant lesson cards. Learn more about Rik’s pre-calc classroom here. 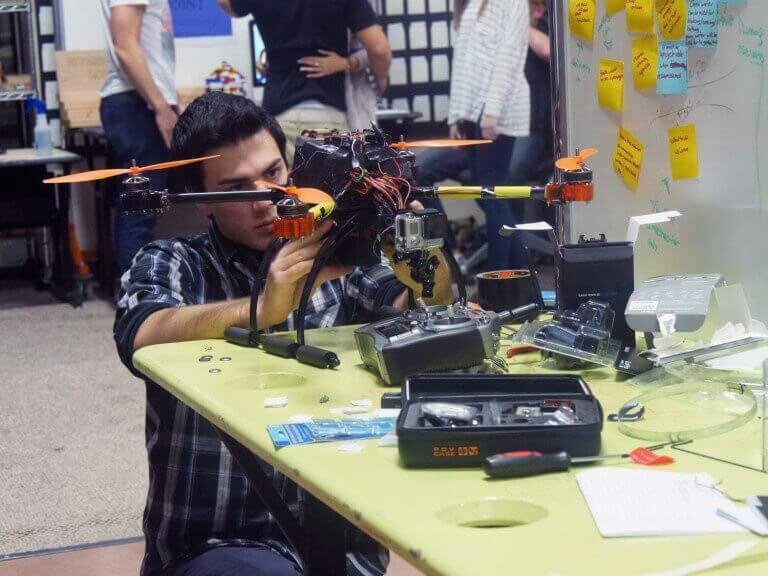 An innovative high school in Washington is combining real-world skills with autonomous learning and hands-on activities. Teachers Matt Green and Glenn Williams’ Inventioneering class is chock-full of machinist building, mentorship by community professionals, and tons of lab-like makerspace for the students to work hands-on. 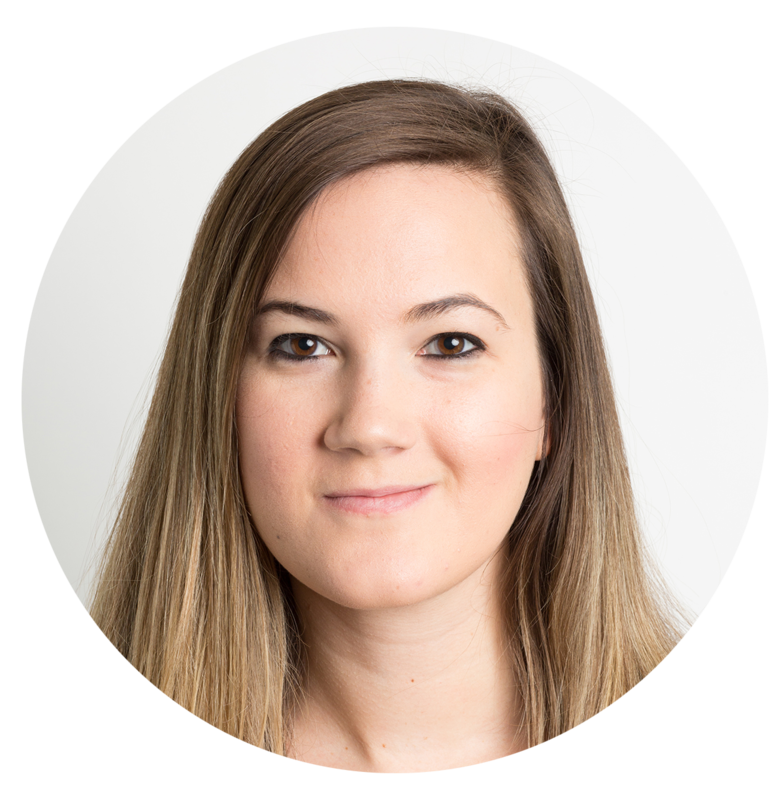 This type of multifaceted classroom requires detailed planning to execute more robust projects for the students. Naturally, Matt and Glenn plan their entire curriculum in Google Docs and Trello. Once their brainstorming session is complete in Google Docs, they create a Trello board that serves as the structure for implementing the class activities for the semester. 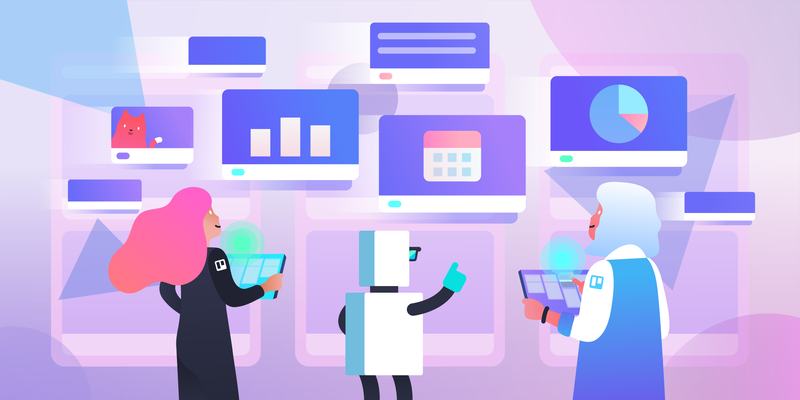 As Glenn explains, “Trello is infinitely more powerful in its capability to be utilized as a content builder, a cache of exemplars, links, tutorials, pictures, and audio recordings that robustly enhance the learning experience for teacher and student." More info about Matt and Glenn’s makerspace classroom. Biomedical science educators Michael Burke and Josh Clemmer are teaching an entirely project-based classroom as part of a national initiative called Project Lead The Way. The entire class culminates in one large project at the end of the semester focused on a topic in the biomedical field. Since the entire class is based completely on projects, some key aspects of the students’ grades are around organizing the project, creating a timeline, and executing on their responsibilities. 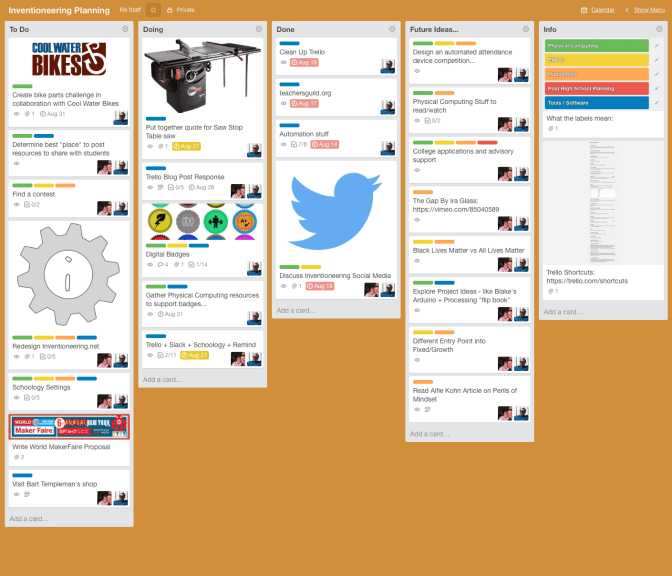 Given the nature of the project planning needs of the curriculum, Trello felt like a natural fit. Each group of 3-4 students collaborates on their project using a shared Trello board where they can assign tasks, communicate back and forth, and, most importantly, move each task to a “Done” list. 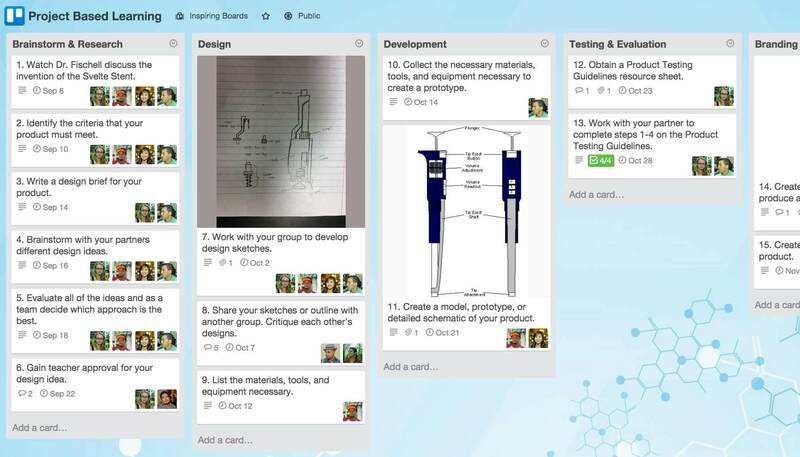 Interested in learning more about how to use Trello in a classroom setting? 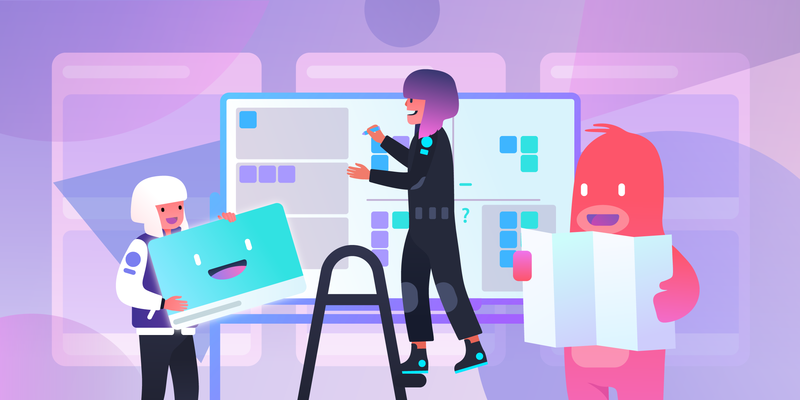 Be sure to check out the “Trello For Education” resource book to watch videos, and learn the specific features that help collaborative classrooms run smoothly.